It's that time of year again. When you start to see these colorful boxes show up all over the place. I remember when I was little a box cost $1.00, and my mom would fill the freezer with close to 50 boxes. 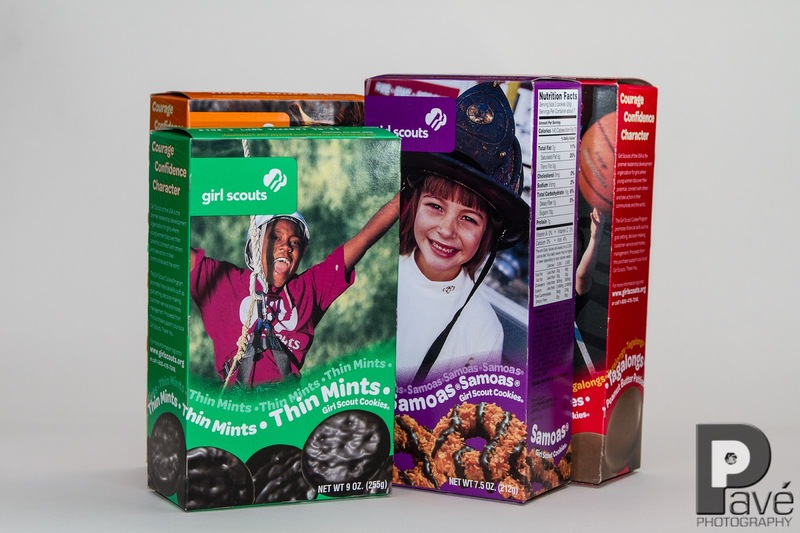 These days the Girl Scouts hold these delicious cookies ransom for $4.00 per box! So we bought 13 boxes. By the time my daughter is my age, a box will probably cost $20.00 and will only be able to get 2 or 3. Maybe this is the Girl Scouts evil plan to help me lose weight. Hopefully you have a Girl Scout that you supported this year. I know I will be enjoying my Thin Mints (frozen) and with a glass of milk now that we have some in the house. 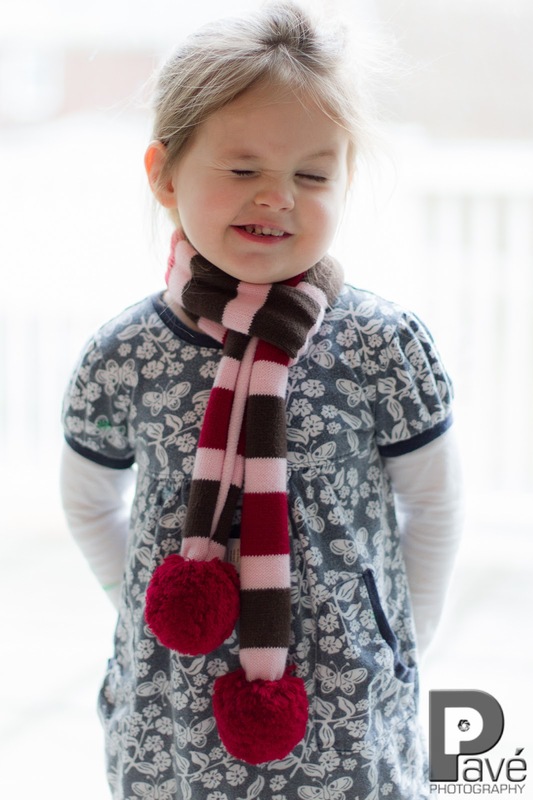 When I picked up Harper from school, she demonstrated how to put on and tie her scarf just like her mommy. I must say she is spot on and I am quite impressed considering she is just three. We arrived at the house and went through the normal routine and she refused to remove the scarf. As she ran around the house I was able to get her to pose for me with her scarf. She insisted on showing me how can wink. This was too fun to pass up. In the summer Jonah and I will hike down to this creek. We both love it for different reasons. Jonah loves playing in the water, looking for bugs, and just enjoys being a boy. I usually bring my camera, tripod, and which ever lens struck my mood. Usually we are not the only people enjoying the outdoors as walkers, hikers, dogs, and other random people enjoy this area. 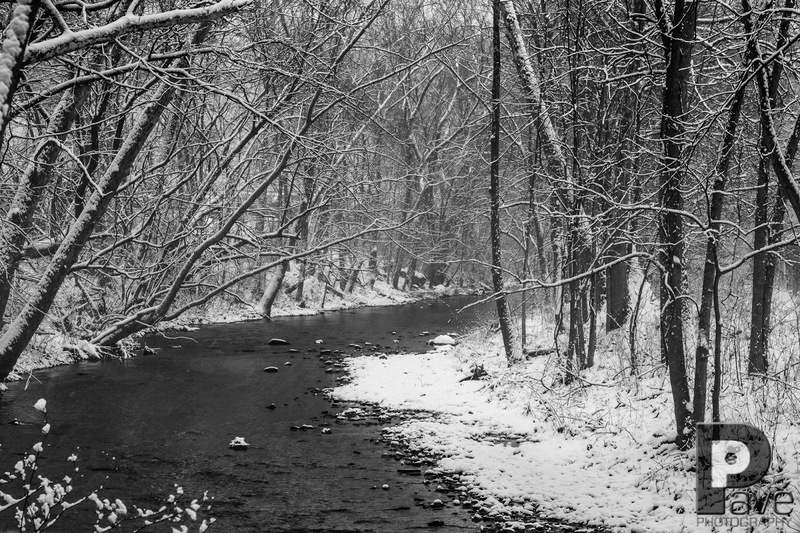 However, in the winter this creek is very calm, quiet, lonely. The spot where I took this photo will be turned into a recreation complex containing soccer and baseball fields. So I am pretty sure that are summer spot will become busier than ever. So like I normally do on a daily basis I review the news of the day on the internet. I read an article about Moka, a gorilla at the Pittsburgh Zoo that is probably pregnant. 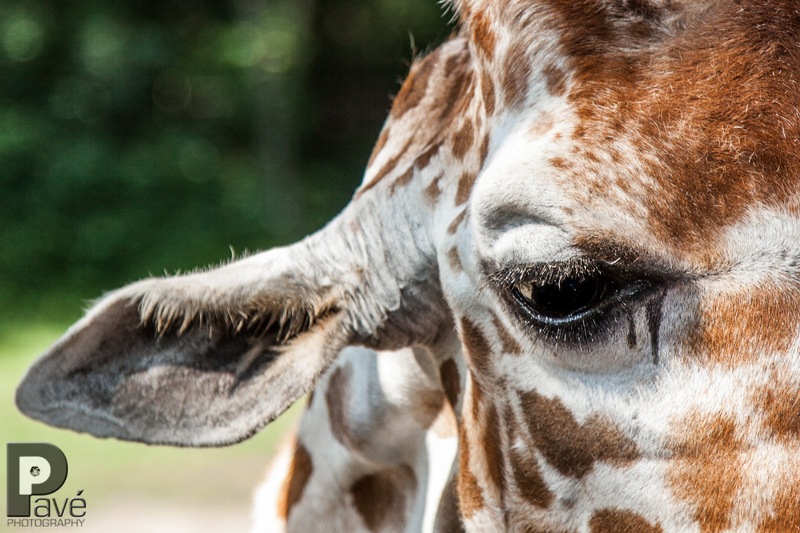 That made me think about the photographs I have taken over the years at the zoo to see if I have one of Moka. 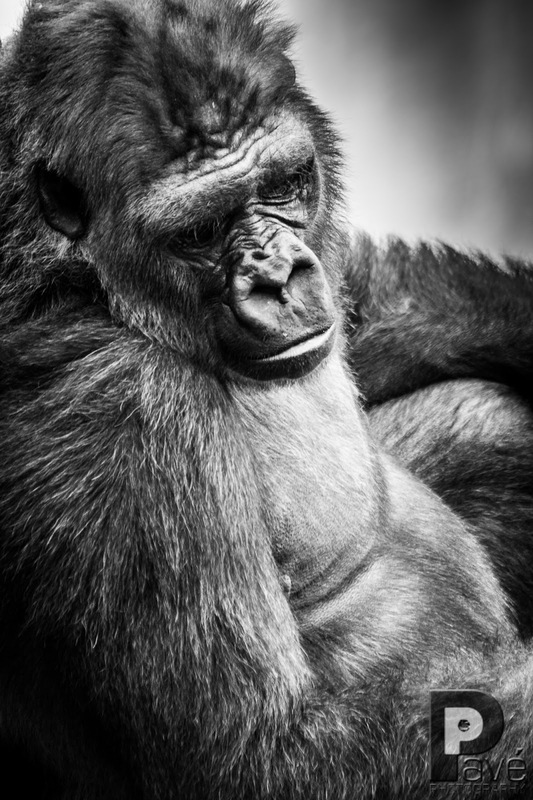 It turns out that one of my favorites from our zoo trips is of a gorilla, but it does not appear to be Moka based on the photo from the article. I love the mood in this portrait and this just might be the soon to be proud papa. I was able to have about 30 minutes to myself today and I decided to take a walk around the Pittsburgh neighborhood of Aspinwall. It is quaint little area that has great old homes, tree lined sidewalks, and brick streets. During my walk I stumbled upon this building that looks a little out of place. 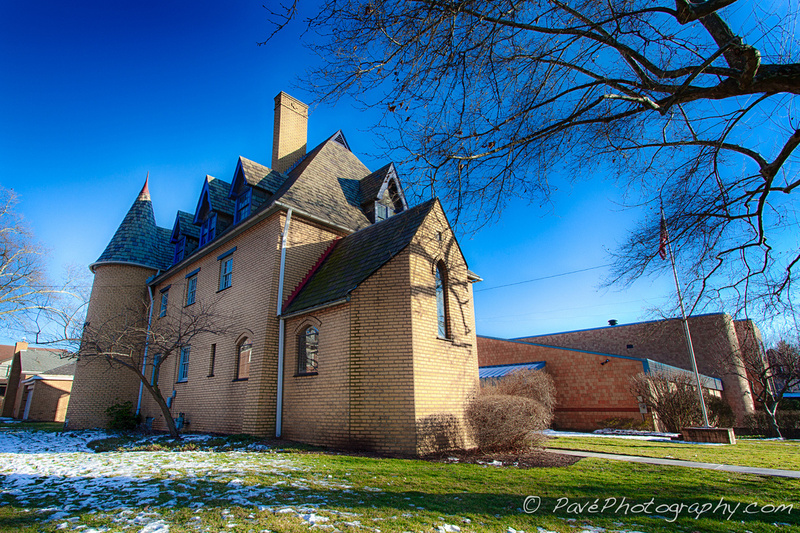 The architecture reminds me of a medieval castle and peaked my curiosity I took a set of bracketed shots and kept walking through the neighborhood. When I got home I decide to look into the building and it is actually part of the St. Scholastica Parish campus of buildings. I was going through some of my photographs that I haven't edited yet and this one caught my eye. 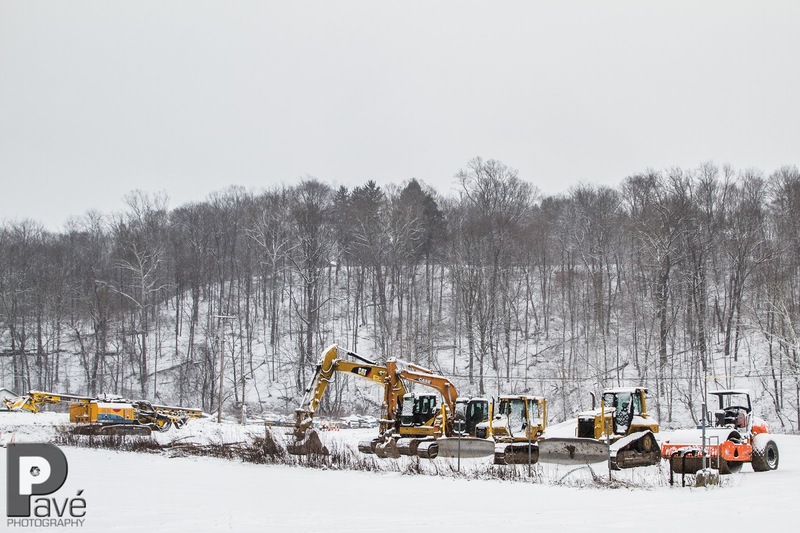 I really like the colors of the heavy equipment and how it is a nice contrast to the white sky and snow. I was watching some of the Waste Management Phoenix Open and was longing for the warm weather of Arizona. 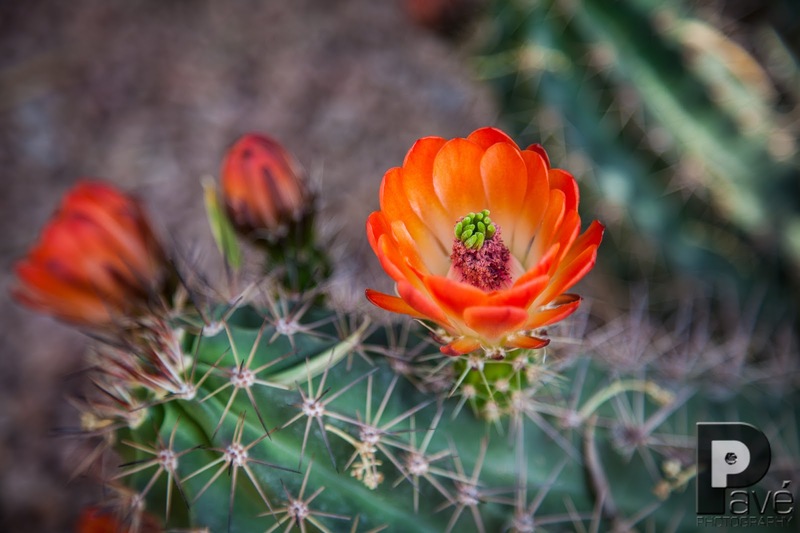 This is a cactus flower from our trip to Scottsdale last April. I wouldn't mind being back there right now, swinging in a hammock, enjoying the weather.